Tokyo (AP) – The operator of Japan’s crippled Fukushima nuclear plant said Friday that a long telescopic probe successfully captured images of what is most likely melted fuel inside one of its three damaged reactors, providing limited but crucial information for its cleanup. 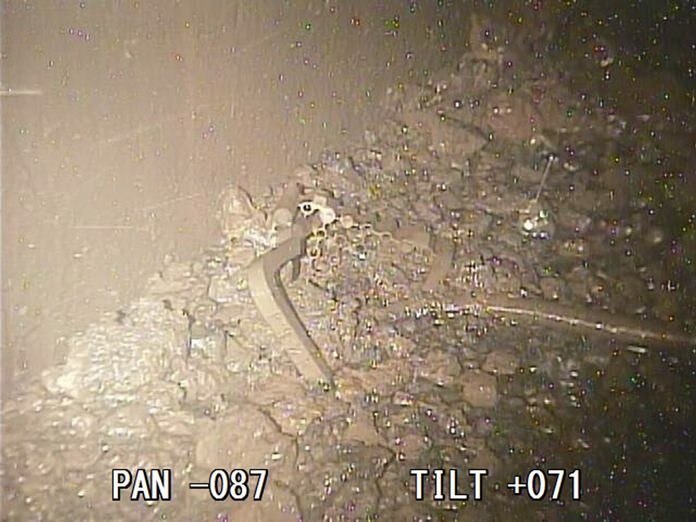 Tokyo Electric Power Co. said the fishing rod-like device carrying a camera went deep into the plant’s Unit 2 primary containment vessel. The images indicated that at least part of the fuel had breached the core, falling to the vessel’s floor, TEPCO spokesman Takahiro Kimoto said. A massive earthquake and tsunami in 2011 caused three reactors at the Fukushima plant to melt. 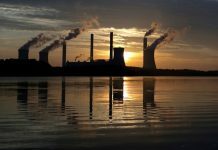 The plant’s decommissioning is expected to take decades. Melted fuel has previously only been documented inside Unit 3, where an underwater probe captured images of large amounts of melted fuel debris that looked like molten lava mixed with broken parts of equipment and structures on the concrete floor. During Friday’s investigation, the device – developed by Toshiba Corp. and the International Research Institute for Decommissioning, a government-funded organization of nuclear companies – found deposits in the shape of pebbles, clay and other forms, Kimoto said. Determining the location of the melted fuel is crucial in planning for its removal, the hardest process in the plant’s decommissioning. The government and TEPCO plan to determine the methods and start removing melted fuel from one of the three reactors in 2021. But experts say a lack of data is delaying the development of the precise type of technology and robots. The images from Friday’s probe show was what is believed to be a stainless steel handle of a case containing bundles of fuel rods sitting on a pile of pebble-shaped and clayish substances, in a sign the rods melted and breached the bottom of the core. The deposits seemed to be scattered in a wide area around the pedestal, the main structure that sits underneath the core. Experts say they believe part of the fuel still remains inside the core of the Unit 2 reactor, while almost all of the fuel rods in Unit 1 and 3 melted and fell to the bottom of the primary containment chambers.